From our nucleus of 45 working females, we have built a foundation of time-tested Fleckvieh Genetics. We have built our herd around the philosophy of predictability—generations of powerful genetics all combined to ensure quality results every time. We constantly look to where the industry needs to be in 5 years, and then move accordingly. That is why we continue to search for superior outcross genetics 364 days of the year (every day but Christmas), to ensure we maintain a wide genetic base. 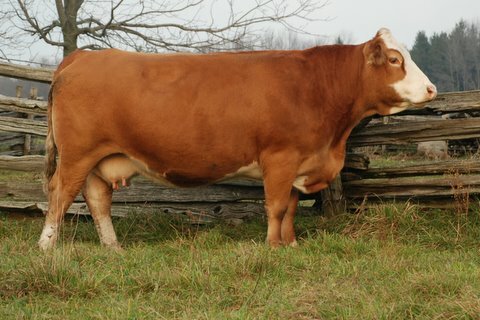 This is why we decided to add the Polled strain to our full Fleckvieh herd back in 1999. We needed to slowly and successfully incorporate these genes into the broader horned Fleckvieh population while maintaining the quality and consistency of our walking cow herd. 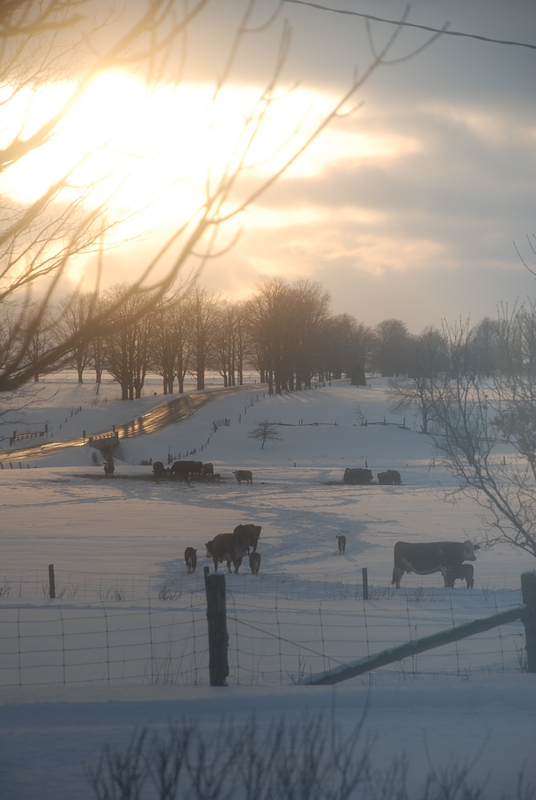 With one eye on incorporating new genetics, the other eye continues to be focused on the future needs of the commercial cattlemen and in turn our consumer. We feel our ideal of polled, moderately framed, feed efficient cattle is providing the commercial cattleman with the kind of calves that bring top dollar– and back our genetic selection with regular DNA testing through the Igenity profile, to ensure our cattle look as good on the inside as they do walking the pasture.